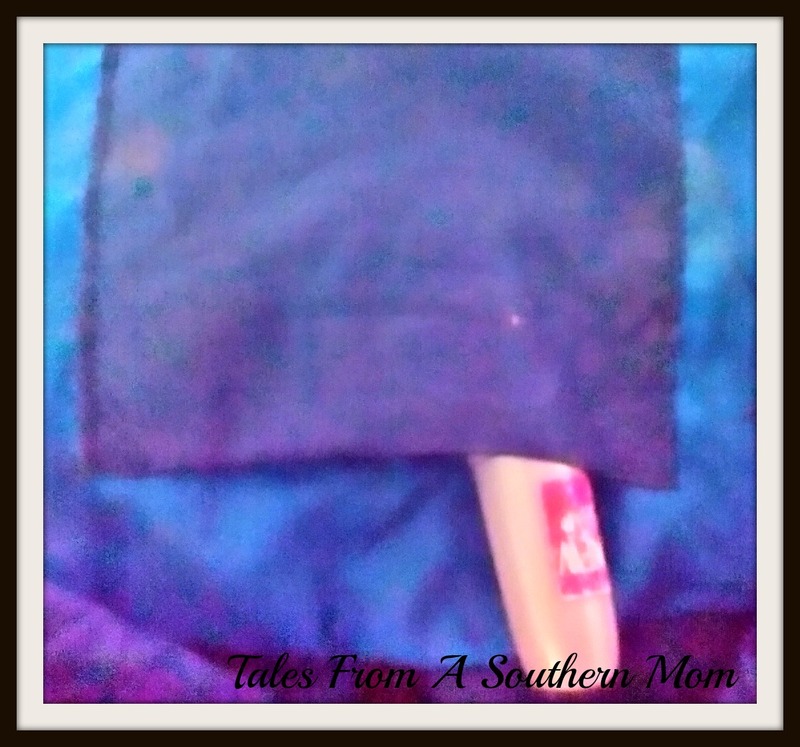 Tales From A Southern Mom was honored to work with Lay-n-Go in a review of their great product. They sent me a Lay-n-Go Lite in a great blue color. 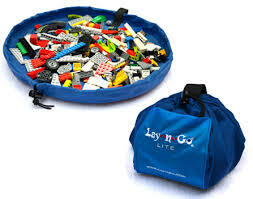 The story with the Lay-n-Go started with a mom who needed a solution for cleaning and containing the chaos of Lego toys that her husband and their three sons had. These creative and resourceful parents saw this need and started the Lay-n-Go. They wanted their sons to be able to play freely, create and explore, but not destroy the house while they did so. They had a clear goal that they kept in mind and that was to make an easier and smarter cleanup as well as an organizational product for all of the little pieces, and to solve the organizational challenges in daily routines. The Lay-n-Go is washable, has a tough water repelling and wipeable surface, is machine washable, and reversible to two different colors. 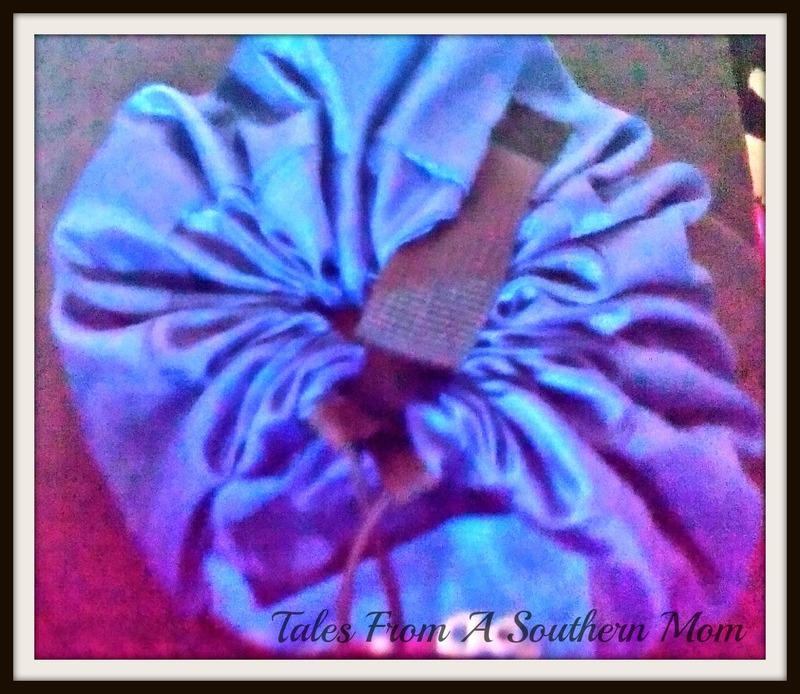 It has a nylon cord that lets you open it easily, but also closes securely to keep things safe inside. There is a “lip” or a ledge around the outer edge of the bag so that even when it is open things are not able to roll off them. The two pockets, one inside and one outside, both have Velcro on them to keep the string out of the way while the mat is open or closed. The design is remarkable and I was highly impressed with the quality of the product. My two and ½ year old was easily able to use it with very little help and that was mostly to put the string inside the pocket. So many toys have many tiny parts that once they are lost they are only going to be found with your bare foot in the middle of the night or when you are carrying a sleeping child. I love that this keeps it all contained so that you do not have that problem anymore. We tried many different things in the play mat/bag and did not find anything that did not work. We put make up in it, we tried coins, and little toys. Overall, I think this is one of those products that everyone could use several of them. It comes in five different colors, which would allow you to organize by color, for different toys, or different children’s things. 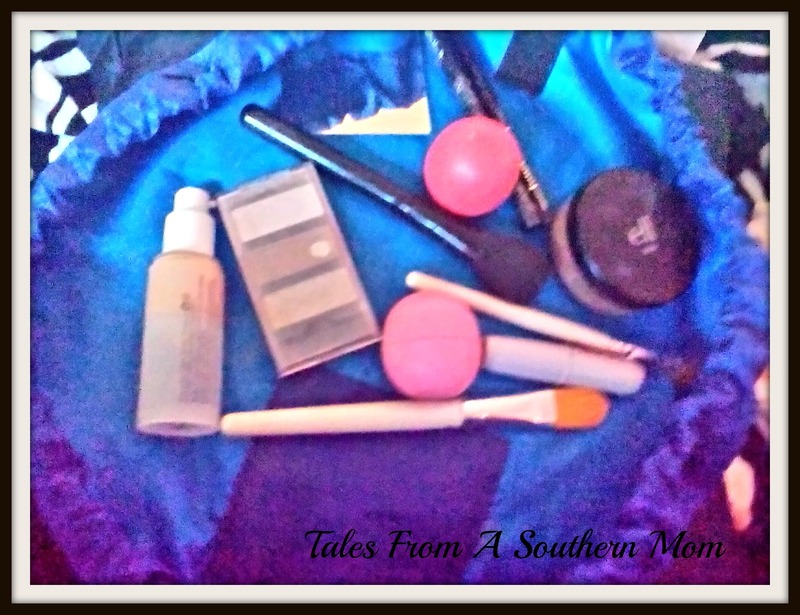 You can check out their website here, where you will find very large Lay-n-Go’s down to the smaller cosmetic one that is padded lightly to use for doing your make up. The design of this is brilliant. Lay-n-Go and offered a giveaway to our readers for a blue Lay-n-Go Lite for kids, all you have to do is enter below. Good Luck! Our biggest mess is Legos. They are everywhere! My biggest mess is my small sewing items such as bobbins, packages of machine needles, marking pencils, etc. My worst stains are dirt and grease from the farm.